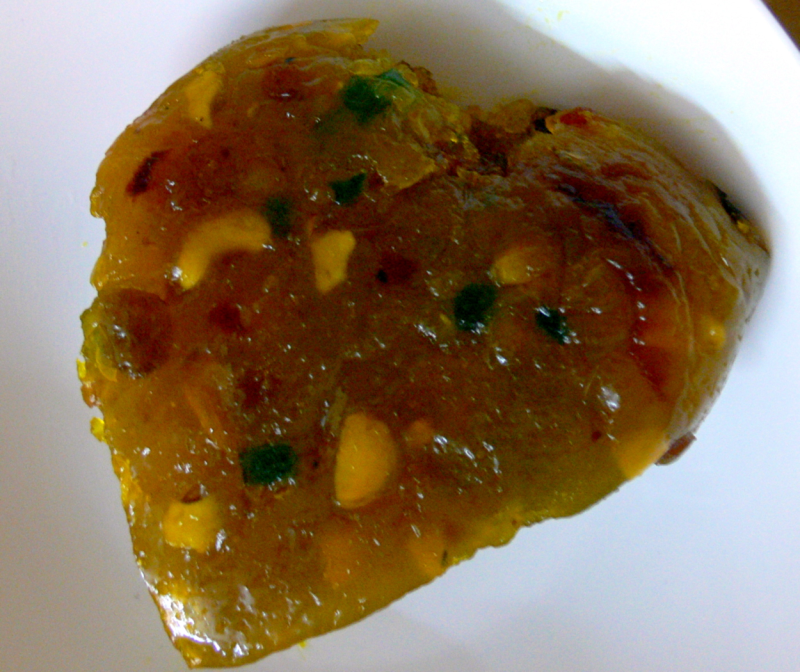 Halwa made with Mango,Orange and Pineapple pulps. Heat Ghee in a non-stick frying pan. Fry Cashwenuts and Raisins and keep aside. Add Orange and Pineapple juices to the same frying pan. When it boils, add Sugar and Cardamom powder and mix well and let it boil until 1 string consistency. Add Mango pulp. Reduce to Medium heat, stir well & boil till the mixture is thick in consistency. Add fried Cashwenuts and Raisins. Mix well & remove from heat. Grease a bowl with little Ghee. Pour the mixture into the greased bowl and to cool. Tri-Fruits Halwa is ready to be served.